A blend of Ida Red, McIntosh and Fuji apples and coming in at 5.5% ABV, this refreshing cider is crisp and clean with strong apple notes on the nose. 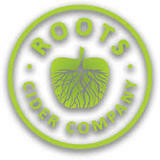 Our Traditional Hard Cider is a semi-dry cider made from 100% fresh-pressed apples. Semi-dry traditional cider sourced in New York and made in Nashville, TN.